I am delighted to see that Kildare County Council have officially begun to seek tenders for the Sallins Bypass and upgrading of the M7. 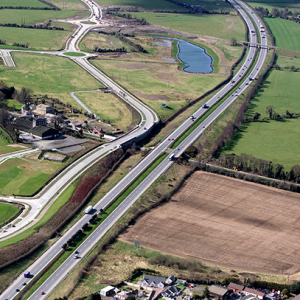 The project includes M7 Naas Newbridge Bypass Upgrade + M7 Osberstown Interchange & R407 Sallins Bypass. It is fantastic to this project making steady progress. I was cautious in September 2015 in welcoming funding as residents in Naas & Sallins had been promised these works since the early 1990’s. I have campaigned strenuously for years on this issue, these road projects will bring a dramatic improvement to the lives of people living in Naas and Sallins, travelling through as well as the thousands who use the M7 everyday. Prospective contractors have until the 13th of May to apply and state their case. In my new role as a T.D. for Kildare North I will continue to do everything possible to monitor and lobby for this project to be completed.